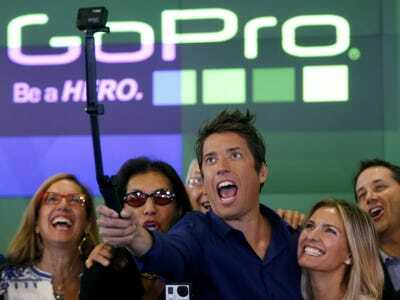 Action camera maker GoPro is considering making consumer drones in 2015, according to the Wall Street Journal. The company reportedly plans to start selling these multi-rotor helicopters with attached high definition cameras late next year, and GoPro is aiming to price them between $US500 and $US1,000, WSJ’s sources said. GoPro already supplies many of the cameras attached to existing drones, such as those that come with drones made by 3D Robotics. GoPro seems to have a clear interest in the drone space, as a company spokesperson told WSJ that it joined a drone advocacy group called the Small UAV Coalition earlier this year. That spokesperson also noted that users are already producing “jaw dropping GoPro footage” from quad copters. Drones are becoming an increasing area of interest in both the consumer and enterprise space. Companies such as Parrot and China-based DJI Technology make some of the most popular drones you can purchase today. At the same time, Amazon is exploring using drones to deliver online orders as part of a new program called Prime Air.